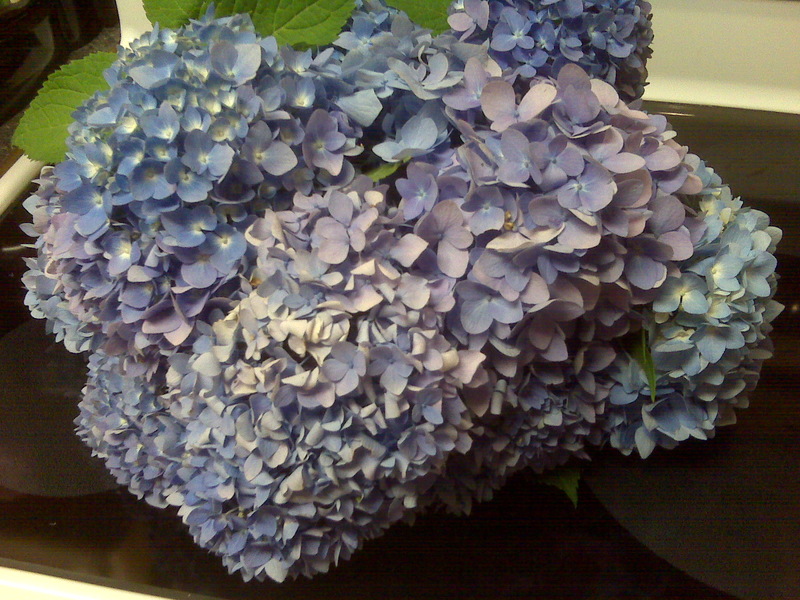 I just cut a ton of hydrangeas from our bushes last night. Some for a girl at work and some for our kitchen table. We have white, pink, lavendar and a true blue that all grow in our garden. They're gorgeous flowers!! 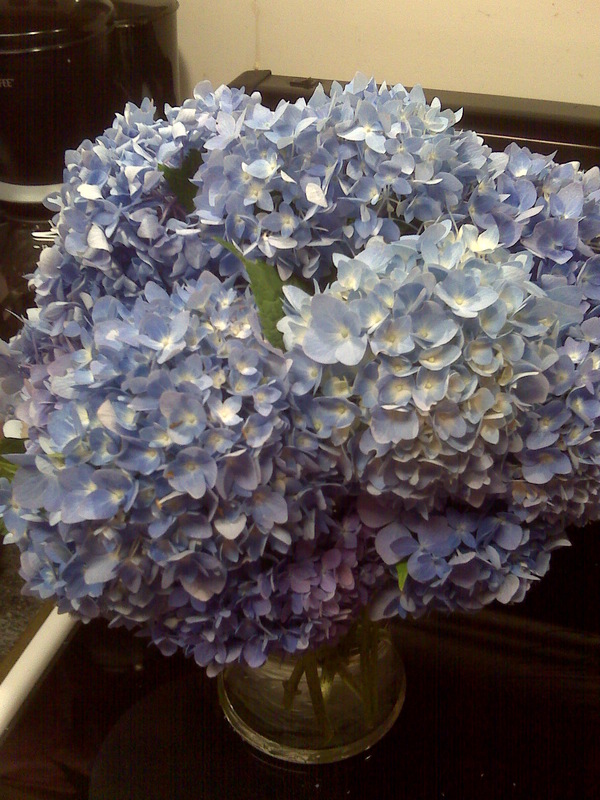 I love hydrangeas, too, but I just don't have much luck growing them. I think I have my bushes planted in too sunny of a location, although it seems fairly shady to me. They remind me of the movie "It's a Wonderful Life". Do you know why? If you've seen the movie try and guess, if not, you'll never know. So pretty! The science nerd in me also loves that they are different colors based off of the ph of the soil they are in. I love hydrangeas. They are one of my favorite flowers. We are fortunate enough to have them in front of the house, the blue and the pink. It's amazing I haven't killed them after all these years! I love these flowers! Beautiful! I love hydrangeas! I plan to have tons of them everywhere at my wedding!